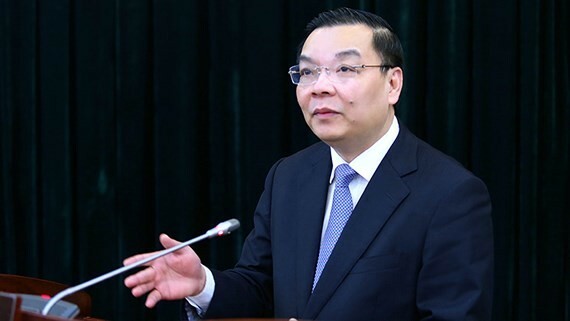 In his report to the National Assembly Standing Committee, Minister of Science and Technology Chu Ngoc Anh wrote the results of implementing scientific researches into real life. Additionally, the report was on the monitoring task on importing technologies for manufacturing and services; the use of science and technology to increase production performance; the application of high-tech for economic and social development. Three high-tech parks have attracted an investment of nearly $10 billion. 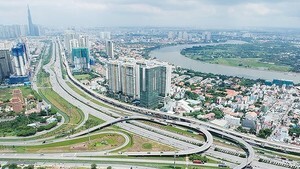 According to the report of Minister Chu Ngoc Anh, thanks to advantageous regulations on the mechanism as well as special incentive policies, the three high-tech parks in Hoa Lac of Hanoi, in Da Nang City, and in Ho Chi Minh City have attracted 217 investment projects with the capital of almost $10 billion, creating jobs for around 50,000 people. Hoa Lac Hi-tech Park has basically finished its infrastructure for investment projects. Three major projects with the total capital of more than $223 million have already received their investment registration certificate. The overall export turnover of businesses in the Park has reached $2.4 billion. Saigon Hi-tech Park had the total output value of $12 billion in 2017 and is expected to pass the value of $20 billion in 2020. Danang Hi-tech Park has issued investment registration certificates for 7 projects with the total capital of more than $160 million. One noticeable issue in the report is that there are still difficulties in the control of second-hand equipment and assembly lines. Many have voiced that the current regulation for the age of second-hand equipment is not suitable. At the moment, all these devices cannot be used for more than 10 years. Nonetheless, in reality, certain mechanical or electric equipment can run well for 15 or 20 years. Regarding second-hand devices in investment projects, some investors, especially FDI businesses from Japan and Korea, wish to have an approval from related national authorities on the import second-hand devices for their own projects. However, there is no clear instruction in the concerned Circular on necessary formality for the import of more-than-10-year-old equipment which is essential to maintain production activities of businesses. To address this issue, Minister Chu Ngoc Anh shared that the Ministry of Science and Technology has already prepared the amendment for Circular No. 23/2015/TT-BKHCN. Accordingly, the new regulation would be that ‘the age of general equipment should not be more than 10 years, and mechanical as well as electric equipment not more than 20 years”. The Ministry is also cooperating with the Ministry of Industry and Trade to introduce a decree to instruct the implementation of the law for the control of foreign trade. For regulations related to other industries and fields, it should be the job of concerned ministries and ministerial-level agencies to prepare necessary criteria for the Prime Minister to approve. As to new investment projects or any project to transfer the whole factory from other countries (most from Japan and Korea) to Vietnam, the criteria on the age of equipment will not be applied. Instead, the control should rely on the assessment of those devices on application technology and quality as well as remaining efficiency before packing for transferring. In addition, there will be supplementary regulations on necessary documents, procedures for the import of equipment in special cases when the age is more than 10 years old. It is noticeable that the report stated in 2017, Vietnam’s position on Global Innovation Index (GII) moved from 59/128 to 47/127 nations and economies, an increase of 12 steps, making our nation the leader among nations with low to medium income. According to Minister Chu Ngoc Anh, one of the significant reasons for this impressive result is that investment for science and technology in recent years in Vietnam has gradually risen, especially the one from private sector. In particular, in 2016, the total capital for scientific and technological activities reached VND33,905 billion (approx. $1,489 million), including VND17,730 billion ($778.5 million) from national budget and VND16,175 billion ($710.2 million) from other businesses. This shows that the investment for science and technology from businesses has increased by 48 percent. Some of these such as Viettel Group or Petro Vietnam have heavily capitalized science and technology. The report was read in the question-answer session on March 19.